Gonzaga and Texas A&M, both coming off Sweet 16 appearances, have agreed to a two-game series. 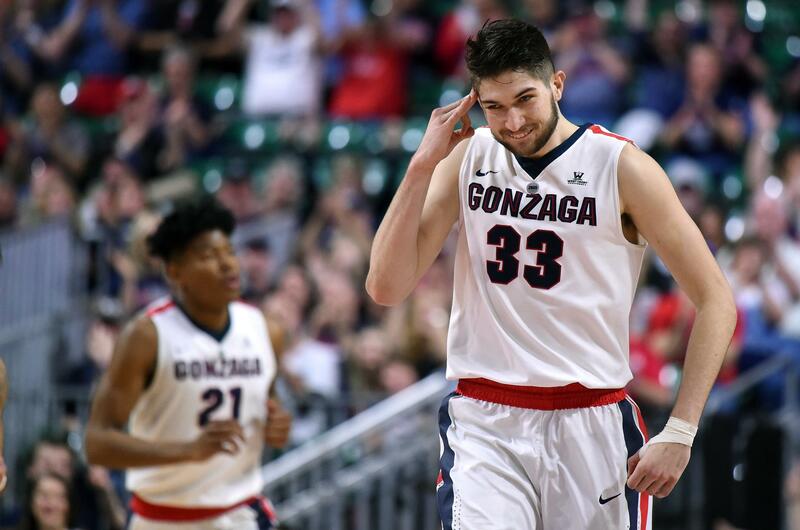 Gonzaga is projected in the preseason top 10 and its nonconference schedule is shaping up as one of the best in the program’s two decades in the national spotlight. GU probably will encounter at least two preseason top-10 foes in Tennessee and North Carolina. The Zags and Vols square off as part of the Jerry Colangelo Classic doubleheader in Phoenix on Dec. 9. Gonzaga visits UNC on Dec. 15. The addition of Texas A&M helps balance GU’s nonconference schedule and offer a quality test before the Maui Invitational. Washington is the Zags’ other marquee home game. In addition to the road trip to face North Carolina, Gonzaga visits Creighton in Omaha, Nebraska. The high-powered Maui Invitational field features Gonzaga, Duke, Arizona, Iowa State, Illinois, Xavier, Auburn and San Diego State. Pairings haven’t been announced. Texas A&M (22-13, 9-9) finished tied for seventh in the SEC. The Aggies defeated Providence and routed second-seeded North Carolina in the NCAA Tournament before falling to Michigan. The Aggies could be in rebuilding mode following the departure of several key frontcourt players. Forward Robert Williams is projected as a mid- first-round selection in the NBA Draft. Center Tyler Davis is a potential second-round pick. Forward DJ Hogg also is skipping his senior season. Reserve center Tonny Trocha-Morelos graduated. Guard Admon Gilder submitted his name for the draft but hasn’t hired an agent, maintaining the option of returning for his senior season. Davis, Gilder, Hogg and Williams were A&M’s top four scorers last season. Davis, Williams and Hogg finished 1-2-3 in rebounding. Trocha-Morelos averaged 6.7 points and 4.3 rebounds. Gonzaga and Texas A&M met in the 2015 Battle 4 Atlantis with the Aggies winning 62-61 in the Bahamas. Trocha-Morelos scored 14 points and Davis and Hogg combined for 13. Texas A&M earlier this week announced a two-game series with Oregon State, which begins next season at the Moda Center in Portland. Published: May 23, 2018, 10:19 a.m. Updated: May 23, 2018, 6:04 p.m.